Divine products are manufactured with care. That's why you get a 2 year warranty from the date of purchase. If a defect occurs due to a manufacturing defect, Divine shall offer free repair or, if repair is not possible, free replacement of the product. - Damage caused by a manufacturing error (for example a broken spoke). 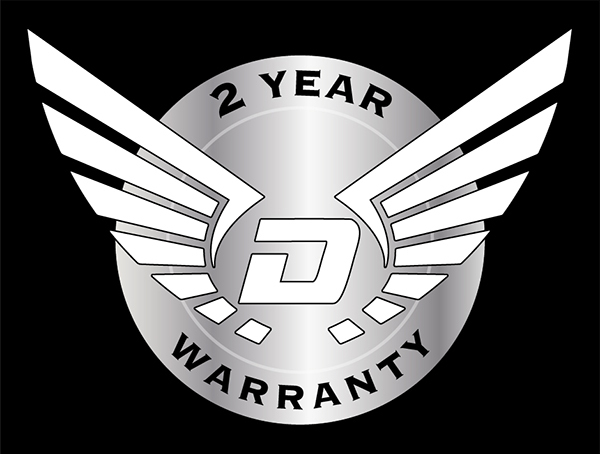 - Other damage that, if used correctly, should not occur within two years after purchase. - Normal wear due to use (wear-sensitive parts such as bearings). - Damage caused by external factors (eg a branch between the spokes, impact damage or stone chippings). - Damage caused by abnormal/unintended use (for example using an XC wheel set for downhill purposes). - Damage caused by incorrect assembly. - Damage caused by own repair/replacement of original parts. - Damage caused by the use of incorrect/dirty brake pads. - Damage caused by transport (other than from Divine to the buyer). - Damage that is very plausible to be caused on purpose. - Damage caused by poor maintenance. - Damage caused by recklessness or an accident. - Damage caused by commercial use (eg rental). - Please contact us in writing and, if possible, provide photographs of the damage. - The product must be offered to Divine Cycling for investigation. If the product is returned by mail, please keep the shipping and payment receipt. - The original proof of purchase must be present. - If it concerns a wheel set, the rims must be provided with the original sticker with the serial number. 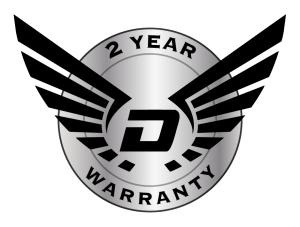 If the damage is not covered by the warranty, any shipping costs for shipment to Divine Cycling and return shipment to the buyer shall be beared by the buyer.